Change it up a bit this Mother's Day/Father's Day with our unique selection of gift sets. These unique candies are sure to put a smile on their faces. Anything can be custom made. Change the tissue paper to their favorite color or add dipped strawberries to any set. 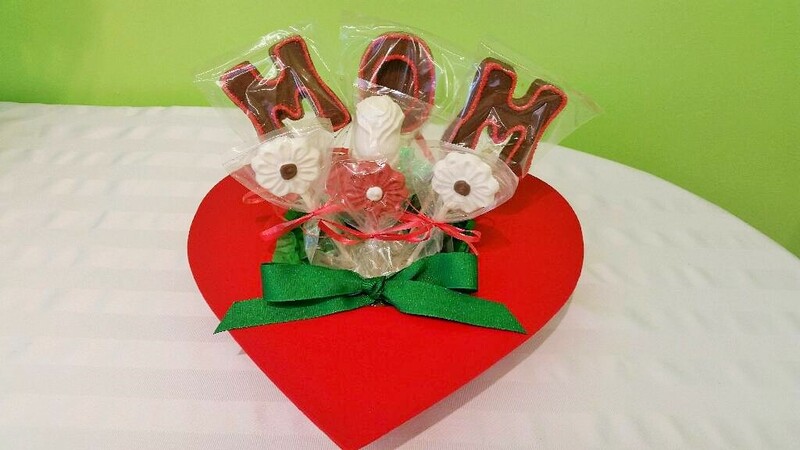 "MOM" Heart Box: Let your mom know how much you care about her with this beautiful heart box filled with the flowers she can eat. Number One Mom Flower Bouquet: Let your mom know you're thinking of her this Mother's Day with these sweet daisies! 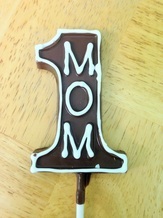 Number One Mom: Stick this chocolate lollipop in any gift set for the final touches of a perfect Mother's Day gift. 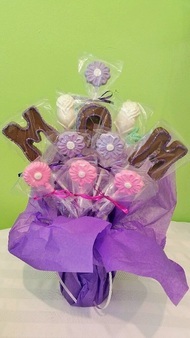 "MOM" Sunflower Gift Set: Surprise your mom with edible delicious chocolate flowers this Mother's Day! Two Dozen Roses: Show your mom you appreciate all she's done with this beautiful set of two dozen chocolate roses! Can also be done in one dozen. "Number One Dad" Don't forget Father's Day! Let him know you're thinking about him this year!